Sharpen your PowerPoint skills, enhance your conference talk and hone your elevator pitch in this two-day workshop. Open to graduate students, postdocs and senior undergraduate researchers who are interested in giving scientific talks to a scientific community. Apply by Feb. 6, as this workshop is limited to 40 participants to encourage a more personalized experience. Additional information about the W-2 can be found here. For more help, please contact an Employee Services payroll professional at 303-860-4200, option 2. Please join the BioFrontiers Institute and Jennie Smoly Caruthers Biotechnology Building staff for cake and punch in celebration of Director of Operations and Financial Management Lee Silbert's retirement. Monday, Feb. 18, 4:15 p.m. The CU Hearing Research Laboratory is recruiting participants for a research study on how our ability to hear interacts with our ability to listen (focus our attention) in difficult listening situations, such as distorted or noisy speech. We are interested in whether measures of attention and memory can help us choose hearing aid settings that make speech more clear. You may be eligible if you are age 18 years or older with normal hearing or with hearing loss in both ears. Please contact us if you may be interested in participating in this study. Recognize the hard work of your student-employee(s) by nominating them for Student Employee of the Year! This award recognizes the contributions of student-employees to the university community and honors their efforts. Work-study, hourly and salaried student-employees are eligible. You may nominate more than one student. The deadline to submit nominations is Feb. 15. Winners will be recognized by Student Employment during National Student Employment Week, April 14–20. The first-place recipient will receive Buff gear donated by the CU Book Store and will be nominated for the Western Association of Student Employment Administrators Award. Second place will receive Buff gear donated by Student Employment. Scholarship Services within the Office of Financial Aid invites faculty and staff to participate in the selection of our 2019–20 scholarship recipients. This is a great opportunity to learn more about students and their interests and activities. Volunteers will review 30 to 40 scholarship applications online (tentatively scheduled for Friday, March 8, through Friday, March 15). Links and instructions will be sent via email prior to the review period. If interested, please email finaid_acadworks@colorado.edu as soon as possible with your name, contact information and CU affiliation. This study is about how sleep loss affects your ability to think and changes the helpful bacteria living in your gut. This research will help us to create treatments and strategies for people working long hours under stressful conditions at night (e.g., emergency workers and military personnel). We are looking for healthy men and women, ages 18–35, to participate in two laboratory visits of approximately 3.7 days each at the CU Boulder Sleep and Chronobiology Laboratory. For study details, email sleep.study@colorado.edu and ask about the Navy study. 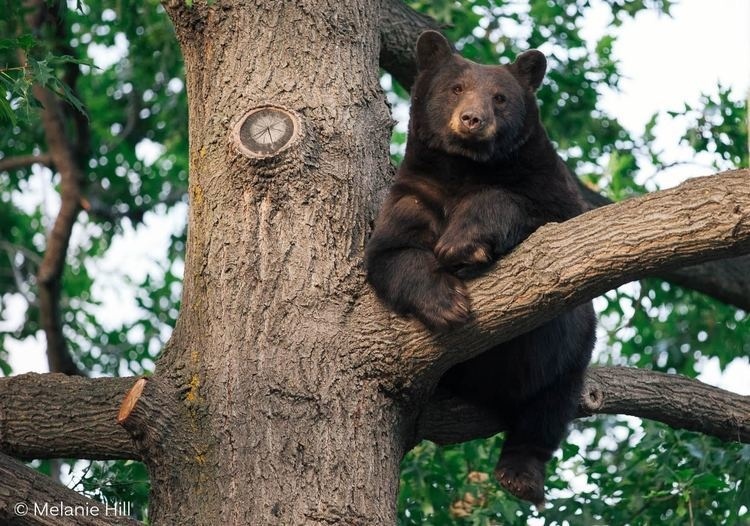 Hey, nature Buffs: Would you like to help foster a respectful relationship with wildlife right here in Boulder? Stop by the new CU Wildlife Club's inaugural meeting to hear about stewardship, outreach and education opportunities. Introduce yourself and let us know what you are interested in, as well as what you'd like to see this club do! Light refreshments will be available for those who arrive early. RSVP through the Facebook event page, and please share with other students who may be interested in joining this club. And while you're at it, follow us on Facebook and Instagram! Tuesday, Feb. 5, 5–6:30 p.m. The Children’s Auditory Perception Laboratory is currently recruiting children 9-16 years old for a research study to help us learn more about how children hear. During the testing, your child will sit in a sound-treated room and will listen to sounds presented over a speaker or through headphones. Your child will be asked to indicate when they hear sounds by playing games. The sounds we use are not loud. One visit to the laboratory is required. The visit lasts about 1.5 hours. You will receive $10 per hour, and we will pay for your parking if you drive to the lab. If you are interested, please email childhear@colorado.edu or call 303-735-6252. The principal investigator for this research study is Angela Yarnell Bonino, PhD, Department Speech, Language, and Hearing Sciences. All testing will be completed in the Speech, Language and Hearing Sciences (SLHS) building on the CU Boulder campus. The Child Research Participant Registry connects families and researchers, so that together we can advance our understanding of human communication and methods to diagnose and treat children who have communication-related challenges. We invite families of children with or without communication challenges to join the registry. To learn more, or to sign up your child, please visit our webpage. The research registry is affiliated with the Department of Speech, Language, and Hearing Sciences at CU Boulder. Where do you go if you need printing done or copies made? CU Imaging Services offers two convenient locations: Print Shop (2-2679) at Folsom Stadium, Gate 11, Room 280, and the Ink Spot (2-7878) on the first floor of the UMC, next to Celestial Seasonings. The CU Boulder chapter of Ritmos Latinos, an affiliated student organization, will begin classes in basic salsa Tuesday, Jan. 29, and every Tuesday night throughout the spring semester. 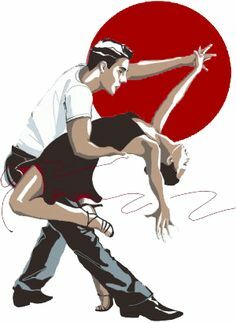 Come join us at the Dennis Small Cultural Center (UMC, fourth floor, Room 457) from 7:30 to 8:30 p.m. for beginning salsa and 8:30 to 9:30 p.m. for more intermediate salsa. Learn to dance both partner and rueda-de-casino style salsa. There is no charge, and you do not have to bring a partner. Classes are open to all members of the CU Boulder student, staff and faculty community. Feel free to bring a friend, and get ready to have some fun learning how to dance! The Undergraduate Research Opportunities Program (UROP) at CU Boulder invites applications for faculty grants in all fields of study. Faculty proposing projects for the 2019 summer and/or 2019–20 academic year grant terms must apply by Feb. 15. Learn about undergraduate sports medicine internship opportunities working with University of Colorado varsity athletes, beginning fall 2019. Gain practical experience in sports injury management, evaluation and rehabilitation. A great opportunity for students interested in: medicine, physical therapy, chiropractic, sports psychology, nutrition, massage therapy, occupational therapy and exercise physiology. Tours and presentation: 6–7 p.m. If you plan on attending, please RSVP to sportsmed@colorado.edu. Please reserve all your questions regarding the internship program and the application process for the open house, or see our website. OIT is offering a series of vendor-facilitated training on PlayPosit and PeerMark. These are OIT-supported teaching and learning tools that integrate with Canvas and Desire2Learn (D2L).